Jon Holsten grew up in Northern Colorado and graduated from Colorado State University in 1992. Following careers in journalism and law enforcement, Jon became a Realtor in June 2012. Jon has quickly established himself as a respected authority in Northern Colorado residential sales. His business continues to grow, and Jon credits that success to God’s blessing, hard work and awesome clients! Jon has lived in Fort Collins for over 25 years, and knows Northern Colorado well. He and his wife Ceri have six children. The entire family is active in the community, enjoying everything from athletics to the arts. Jon is grateful that real estate allows him to pursue his dual passion of serving his old friends... and making new ones! Jon's goal is to make the buying and selling process as efficient and enjoyable as possible. He is honored when asked to provide insight on current home values and discuss the various local real estate markets. Today's complex real estate market demands that buyers and sellers alike have someone trustworthy and competent to work with. Jon savors filling that roll as he serves communities in Northern Colorado. •"We worked with Jacqueline Feil and had an awesome experience. She was incredibly responsive throughout the entire process. She also provided very useful insight and advice that made the home buying process smooth and and gave us confidence in our decision. We would absolutely recommend Jon and or Jacque to anyone looking to buy a home in the northern Colorado area. Sincerely, Collin and Wendi Horvat"
— Collin & Wendi H.
Testimonial for: Jon Holsten 11/12/2017 10:50:21 PM. Rating: 5 of 5 by Collin & Wendi H.
• "Jon went out of his way to make our home sale as smooth as possible. He was excellent in communicating in a timely fashion and always answered our questions and addressed any concerns we had right away. I would highly recommend Jon to my family and friends." — John & Amy H.
Customer Testimonial for: Jon Holsten 11/9/2017 7:54:55 PM. Rating: 5 of 5 by John & Amy H.
• "Jon and his assistant graciously showed us homes for a full year, as we were looking for something very specific and hard to find. Our entire process was a delight, and Jon was continually helpful and patient with us. Now were in the perfect home!" — Perry & Cathy P.
Perry and Katie Paulding, Pastor of Summitview Church, and personal friends of Jon. Testimonial for: Jon Holsten 10/10/2017 9:59:15 PM. Rating: 5 of 5 by Perry & Cathy P.
• "Jon was wonderful to work with, very friendly, professional, available, and knowledgeable about properties and locations. It was so wonderful to have someone walk through the home buying process and feel like they really cared about you as a person and not just another home buyer." — Nicholas & Sherry M.
Testimonial for: Jon Holsten 9/27/2017 9:29:25 PM. Rating: 5 of 5 by Nicholas & Sherry M.
• "Jon Holsten and Jacqueline Feil brought honesty, integrity, and experience to the table. We felt confident in his ability to guide us on our first home buying experience. It made the experience enjoyable and, to be honest, easy. His recommendations got us the contract on the house we wanted, even though there were multiple bids, some higher than ours! Want to know how? Give him a chance and he will devote himself to get you the house you want." — John & Lillian G.
Testimonial for: Jon Holsten at 9/14/2017 2:17:41 AM. Rating: 5 of 5 by John & Lillian G.
• "Thank you Jon for going above and beyond for us! You're personable and knowledgeable! I appreciated your personal follow ups both during and after home buying :)"
— John & Danielle L.
Testimonial for: Jon Holsten 9/7/2017 4:19:15 PM. Rating: 5 of 5 by John & Danielle L.
• "A good friend referred Jon to us as we were moving from out of town. After spending time with Jon we figured out we needed a ranch style home that needed to be in the Windsor school district. There were only three available. While we were talking Jon asked to make a phone call. He called his in-laws in Windsor and asked if we could do a walk-through in a couple of minutes. They said yes. We saw their home with the in-laws still at home and we loved the builder and the layout. In short order we met with the builder with Jon and we got the home of our dreams. Jon encouraged us to asked for some upgrades free. The freebee saved us $2000. The builder finished on the day they committed to deliver and we're in our new home ... thanks to Jon." — Jay & Diane Y.
Testimonial for: Jon Holsten 8/28/2017 6:52:59 PM. Rating: 5 of 5 by Jay & Diane Y. • "Jon was great to work with! He was knowledgeable about the whole process of selling our home. He was straightforward and thanks to him we knew exactly what to expect, with no surprises. Very friendly and professional." Testimonial for: Jon Holsten 8/13/2017 7:13:14 PM. Rating: 5 of 5 by Tyler P.
• "Jon and Jacqueline were phenomenal. They helped my wife and I every step of the way and never tried to talk us into anything we weren't comfortable with. It is thanks to their tenacity and patience that we were able to purchase an incredible house and turn it into a home." Shared on: Testimonial for: Jon Holsten 5/26/2017 11:52:31 PM. Rating: 5 of 5 by Kyle R.
• "Jon Holsten is fantastic. I used him previously to purchase my home, and now to sell it, as well as purchase my new-build home. I've recommended him to anyone I know looking for a realtor, and will continue to do so. He is great, and whatever The Group is paying him is not enough for the work he does for his clients." Testimonial for: Jon Holsten 5/22/2017 5:39:25 PM. Rating: 5 of 5 by Brent B. • "Jon is a great realtor who is very committed to his client's satisfaction. He is attentative, unassuming and honest. The relationship we were able develop will last after this transaction is complete." — Jason & Justin G.
Testimonial for: Jon Holsten 5/13/2017 3:14:49 AM. Rating: 5 of 5 by Jason & Justin G.
• "Jon has helped us with several home/land purchases and sales. He is absolutely great. Has become a dear friend in the process and will refer him to everyone seeking help buying or selling property." — Christopher & Tammera W.
Testimonial for: Jon Holsten 4/12/2017 1:17:47 PM. Rating: 5 of 5 by Christopher & Tammera W.
• "Jon worked hard for my husband and I. He always had a smile on his face when he came to meet with us, and he was eager to answer all our questions. He cared about us not only as clients, but as people and checked in with us frequently during our house hunt just to let us know he was still there, even when nothing was showing up on the market." — Dominic S. & Trisha P.
Testimonial for: Jon Holsten 3/14/2017 2:29:30 PM. Rating: 5 of 5 by Dominic S. & Trisha P.
• "Jon was very professional and patient with us. He was extremely knowledgeable and worked in a timely manner. We recommend him to all our friends shopping for a home." • "Jon was thorough, patient, and caring. He is professional through and through." • "Jon was fabulous. Way beyond any experience we have had with the selling and buying of property through other agents. He was always very punctual and exceedingly friendly." • "Jon was a pure delight to work with. He was very professional, encouraging, optimistic, available, and helpful. We would wholeheartedly recommend him to anyone!" • "Jon took the time to help out in any way that was possible. He has a nice, calm voice and an eye for the future." • "From the very beginning, to closing day and follow up a couple of weeks later, Jon was great!" • "Jon made the selling of my home a good experience. He just seemed to truly care-which was great!" • "We enjoyed working with Jon. He was always willing to meet, show, and give us information on properties. Great sounding board and objective thoughts. We would highly recommend Jon." • "Jon was fantastic! He was always available and listened to our wants and needs instead of being pushy and hurried. We would recommend him to everyone looking for a place." 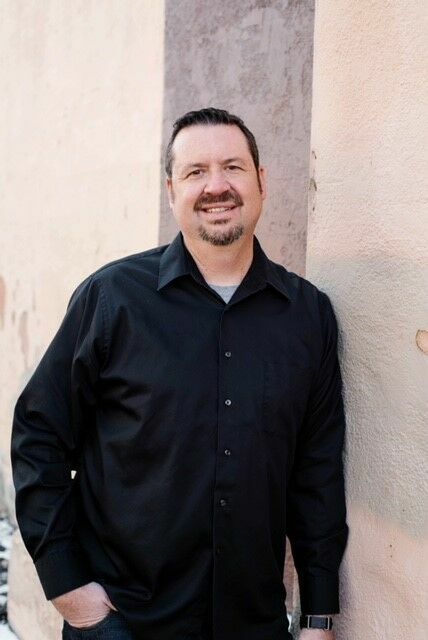 • "Jon is an incredible man and brought a calming presence to our sales process. He was attentive to all our needs and requests. His guidance was firm and honest. I could not ask for a better experience."